To a lot of people, the drug problem in Mexico is only getting worse. Through either police intimidation, police incompetence, police corruption, or just general cleverness on the part of drug dealers, it seems as though the drug trade will never end in Mexico; however, Mexican police do occasionally have success stories to crow about. 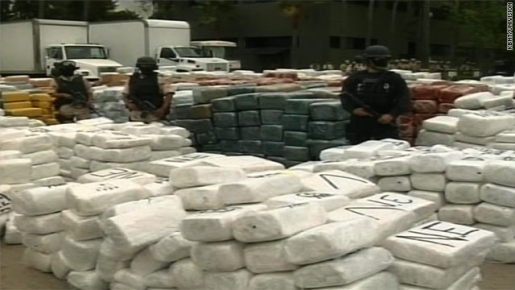 Take, for instance, the recent bust in which Mexican police seized 105 tons of marijuana in Tijuana. Not pounds, TONS. That was a pretty impressive bust! Police seized several trailers and trucks, two large firearms, and 10,000 packages of marijuana that contained, roughly, 105 tons of pot. Eleven people were also detained by authorities in one of the largest drug busts in Mexico’s history. Looks as though Mexico’s drug lords are preparing for the passage of Proposition 19 and the inevitable uptick of demand for their finest greenery.